Gabriel Tallent is incredible and so is My Absolute Darling! Turtle Alveston is a fighter; she’s always had to be. Her father, Martin, is a harsh man who has taught Turtle the ways of the forest. Turtle loves her father immensely but deep down, she knows he is not good for her. What follows is a shocking story of love, survival, and growing up coupled with Tallent’s superb writing. 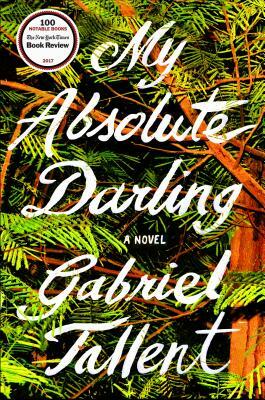 My Absolute Darling is a must read that will leave you aching to help Turtle and befriend this remarkable girl.